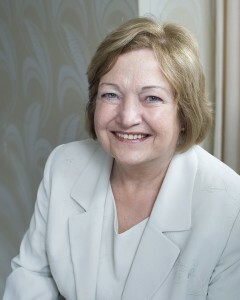 In this column, Mairead Maguire, peace activist from Northern Ireland and Nobel Peace Laureate 1976, explains why thirty women peacemakers from 15 countries made a historic crossing of the demilitarised zone between North and South Korea in May, and describes how the tearing apart of Korean families and their physical separation from each other is one of the greatest tragedies arising out of man-made ‘Cold War’ politics and isolation. BELFAST, Jul 13 2015 (IPS) - The year 2015 marked the 62nd anniversary of the armistice agreement that ended the Korean War. The temporary ceasefire has never been replaced with a peace treaty and the demilitarised zone (DMZ) continues to divide the country. The DMZ with its barbed wire, armed soldiers on both sides, and littered with thousands of explosive landmines, is the most militarised border in the world. Seventy years ago, as the Cold War was brewing, the United States unilaterally drew the line across the 38th parallel – with the former Soviet Union’s agreement – dividing an ancient country that had just suffered 35 years of Japanese colonial occupation. Koreans had no desire to be divided, or decision-making power to stop their country from being divided; now, seven decades later, the conflict on the Korean peninsula threatens peace in the Asia-Pacific region and throughout our world. One of the greatest tragedies arising out of man-made ‘Cold War’ politics and isolation is the tearing apart of Korean families and their physical separation from each other. In Korean culture, family relations are deeply important and many families have been painfully separated for 70 years. Although there was a period of reconciliation during the Sunshine Policy years (1998-2007) between the two Korean governments, when some families had the joy of reunion, this has stopped due to a souring of relationships between North and South Korea. Through sanctions and isolationist policies put in place by the International community, the North Korean people and their economy have also continued to suffer. While North Korea has come a long way from the 1990s when up to one million died from famine, many people are poor, and feel isolated and marginalised from South Korea and the outside world. As members of the one human family, and in order to show human solidarity and empathise with our North Korean family, to bring global attention to the ‘forgotten’ Korean war, and to call for an engagement with North Korea and a peace treaty, a group of international women came together to visit North/South Korea and walk across the DMZ. On May 22, 2015, International Women’s Day for Peace and Disarmament, thirty women peacemakers from 15 countries made a historic crossing of the two-mile-wide DMZ from North to South Korea. The delegation included feminist author/activist Gloria Steinem, two Nobel peace laureates, Leymah Gbowee and myself, coordinator Christine Ahn (whose dream it was to cross the DMZ) and long-time peace activists, human rights defenders, spiritual leaders and Korean experts. During our four-day visit to North Korea, before crossing the DMZ on May 24, we had the privilege and joy of meeting many North Korean women. At a peace symposium in Pyongyang, we listened as North Korean women spoke of their horrific experiences of war and division, and listened as some of our delegation shared how they had mobilised to end conflict and build peace in their communities. We also participated in huge peace walks in Pyongyang and Kaesong, with the participation of many thousands of North Korean women in beautiful traditional Korean costumes. The women carried banners calling for the reunification of families and of Korea, a peace treaty and no war. The walks were deeply moving, especially in Kaesong where families came out onto their balconies to wave as we passed. I must admit that before this visit, my first to the North, I never realised how deeply passionate North Koreans are for reunification with the South and how much they want to open the borders so they can welcome their South Korea families to visit and normalise relationships. North Koreans told us that Korean people are one people. Though they have different political ideologies, they speak the same language, have the same culture, and share a painful history of war and division. Policies of isolation have not solved any problems and our delegates believe that a new approach of engagement and a peace treaty is necessary. Our walk brought renewed attention to the importance of world solidarity in ending the Korean conflict, particularly since the 1953 armistice agreement was signed by North Korea, (South Korea did not sign) China and the United States on behalf of the U.N. Command that included sixteen countries. It helped highlight the responsibility of the international community, whose governments were complicit in the division of Korea 70 years ago, to support Korea’s peaceful reconciliation and reunification. The challenges of overcoming Korea’s division became apparent in the complex negotiations over our DMZ crossing between North and South Korea, as well as with the U.N. Command, which has formal jurisdiction over the DMZ. Although we had hoped to cross at Panmunjom, the ‘Truce Village’ where the armistice was signed, we decided, after both South Korea and the U.N. Command had denied our crossing, that we would take the route agreed by all parties in the spirit of compromise lest our actions further strain already tense North-South relations. In Seoul, we met with some opposition. Although we did not meet with any heads of state or endorse any political or economic system, maintaining a neutral stance throughout, it was apparent that divisions within South Korea itself were manifested in some of the ideologically divided forms of reception and reactions that we witnessed. We recognise that our international women’s peace walk is only a beginning and we will continue our focus on increasing civilian exchanges and women’s leadership, highlighting the obligation of all parties involved to decrease militarisation and move towards a peace treaty.